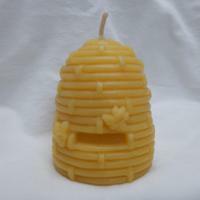 scroll down for a list of categories in Beeswax & Candles. 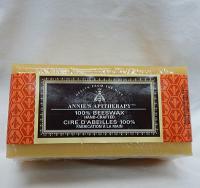 Pure unrefined beeswax, simply melted and strained. Sold in single 1 lb / 650g bricks for you to melt or grate to make your own products. Colour varies by block. Product of Canada. 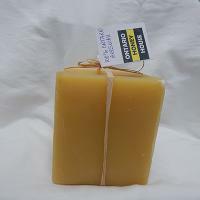 Pure 100% Ontario Beeswax, cleaned without chemicals. 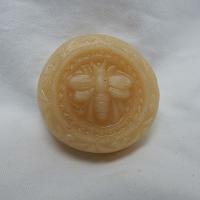 Random weight golden blocks, wax is naturally "stained" by pollen bees collect, amazingly gorgeous! No added scents. Call for availability and cheaper bulk pricing. 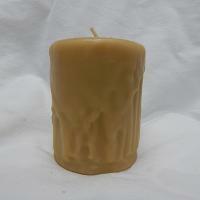 Classic candle elegance at an affordable price to jazz up any dinner table or event. Molded tapers are made by hand, sold by the pair, wrappers may vary. 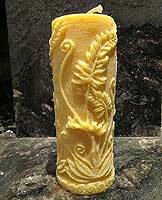 What could be more romantic than burning a pair of pure beeswax taper candles at dinner? They set the mood and clean the air! 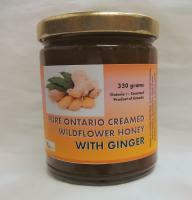 100% Ontario beeswax. Burn time 3 hours. One dozen tealites in metal cups (not plastic), featuring 100% Ontario beeswax. 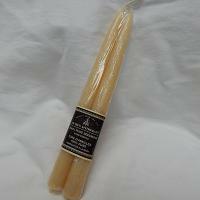 Classic beeswax tapers at an affordable price. Sold by the pair. 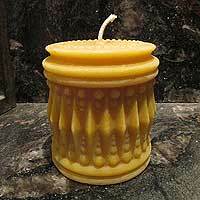 A pretty beeswax candle in the "classic" beehive shape, the olde fashioned straw skep. 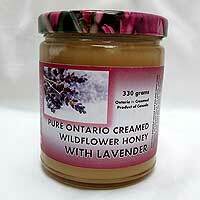 Made from Pure 100% Ontario beeswax from King City. Long burn time of over 100 hours. 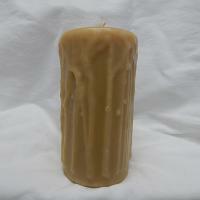 Beeswax Candle - Drizzle Pillar Large Round 7"
Very long burn time, up to 120 hours! 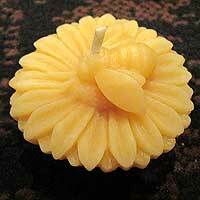 Beeswax Candle - Drizzle Pillar Round 4"
A dainty candle, featuring our best friend the honeybee sitting on a sunflower in full bloom. Approx. 3" in diameter, a floater which also fits into a tealite base. One of our most popular designs, our Large Crystal Pillar has a very "classy" and formal look. 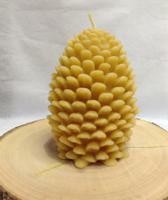 Our Large Pinecone candle stands over 6" tall. A delicate design, perfect for Christmas but a beauty in any season! 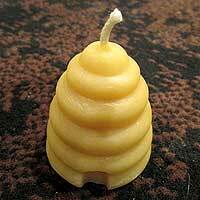 One of our most popular beeswax candles! 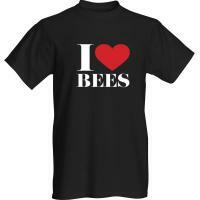 Olde fashioned bee skep shape in a convenient small size. Burn time equivalent to a votive candle, but much prettier. 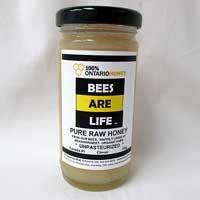 100% Ontario beeswax.